If ever a province deserved to win the Ranfurly Shield it was Southland. The excitement when the Stags beat Canterbury last year infected Invercargill and the hinterland and the people have stayed behind the team. It’s been a really tough week in the south, holding on to the shield would mean much more to Southlanders than winning it would to Aucklanders. If it came to community support the challengers wouldn’t have a chance and the defenders know that. They’ll be playing their hearts out. UPDATE: 9-6 to Southland. Phew! Epeolatry – worship of words. Apropos of this, Gene Weingarten writes Good bye cruel words: English. It’s dead to me. The end came quietly on Aug. 21 on the letters page of The Washington Post. A reader castigated the newspaper for having written that Sasha Obama was the “youngest” daughter of the president and first lady, rather than their “younger” daughter. In so doing, however, the letter writer called the first couple the “Obama’s.” This, too, was published, constituting an illiterate proofreading of an illiterate criticism of an illiteracy. Moments later, already severely weakened, English died of shame . . . The Lewiston (Maine) Sun-Journal has written of “spading and neutering.” The Miami Herald reported on someone who “eeks out a living” — alas, not by running an amusement-park haunted house. The Fredericksburg Free Lance-Star described professional football as a “doggy dog world.” The Vallejo (Calif.) Times-Herald and the South Bend (Ind.) Tribune were the two most recent papers, out of dozens, to report on the treatment of “prostrate cancer.” . . .
Fonterra has announced a final payout for the 09-10 season of $6.70 before retentions. The payout is made up of $6.10 per kilogram of milksolids (kgMS), a dividend of 27 cents a share and retentions of 33 cents share. This is the co-operative’s second highest payout and will give shareholders who are fully shared up a final payout of $6.37. Fonterra reported a 12 per cent increase in after-tax profit to $685 million for the year. Looking ahead, Mr Ferrier said there were signs that international dairy supply and demand were moving more in balance at prevailing prices, although there was still considerable volatility in international markets. After considering these factors, the Board has firmed up the forecast payout for the 2010/11 season to $7.00-7.10 (before retentions). This includes an unchanged forecast Milk Price of $6.60 per kgMS. Jamie Mackay listed on the Farming Show the payouts for previous seasons: (I think these are after retentions). 2001-02: $5.50; 2002-03: $316 ; 2003-04: $4 59; 2004-05:$ 410; 2005-06:$4.46; 2007- 08: $ 766; 2008- 09: $5.20. Same planet, different world Oswald Bastable on bookless homes. Mapping internet sensation stereotpypes – Lucia Maria has found some new world wit. Muppets in blue goNZo Freakpower casts the blue end of the blogosphere as Muppets. How did the poor come to be poor – Anti Dismal on why understanding wealth matters more than understanding poverty. Building inpsectors – Credo Quia Absurdum Est on why practical experience beats the a bloke with a folder. Reaching Atip – Cactus Kate explains fashion week. Be careful Gareth – Patrick Smellie on the fine line between integrity and hubris. Chris Carter must really hate Phil Goff. Mr Carter said he was back only to sort out his office, and would not be going to the House. A medical note from his doctor gave him leave until the end of the month, and he would return officially on October 5. However, Act’s respite will be temporary. Garrett is going to reveal all today. When politics gets personal like this the biggest losers will be the parties. 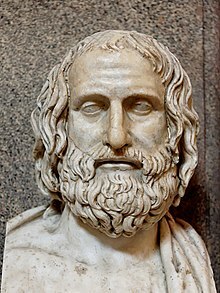 480 BC Euripides, Greek playwright, was born (d. 406 BC). 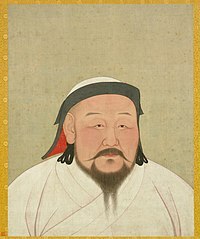 1215 Kublai Khan of the Mongol Empire, was born (d. 1294). 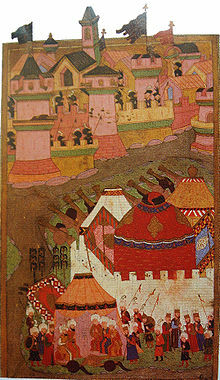 1409 Battle of Kherlen, the second significant victory over Ming China by the Mongols since 1368. 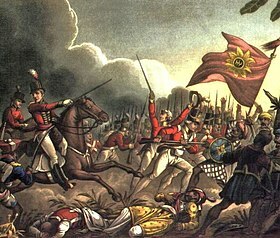 1459 Battle of Blore Heath, the first major battle of the English Wars of the Roses. 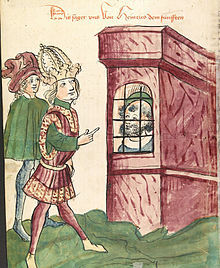 1529 The Siege of Vienna began when Suleiman I attacked the city. 1641 The Merchant Royal, carrying a treasure worth over a billion USD, was lost at sea off Land’s End. 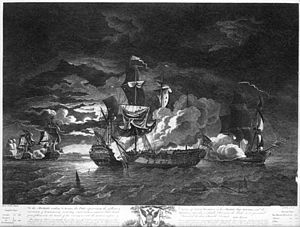 1779 American Revolution: a squadron commanded by John Paul Jones on board the USS Bonhomme Richard won the Battle of Flamborough Head, off the coast of England, against two British warships. 1821 Tripolitsa, Greece, fell and 30,000 Turks were massacred. 1846 Neptune was discovered by French astronomer Urbain Jean Joseph Le Verrier and British astronomer John Couch Adams; then verified by German astronomer Johann Gottfried Galle. 1857 The Russian warship Lefort capsised and sank during a storm in the Gulf of Finland, killing all 826 aboard. 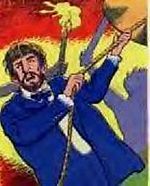 1868 Grito de Lares (“Lares Revolt”) in Puerto Rico against Spanish rule. 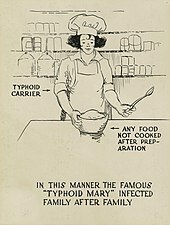 1869 Mary Mallon, also known as Typhoid Mary, first carrier of typhoid, was born (d. 1938). 1880 John Boyd Orr, Scottish physician, Nobel Laureate, was born (d. 1971). 1887 Ngati Tuwharetoa gifted the mountain tops of Tongariro, Ngauruhoe and Ruapehu to the Crown. 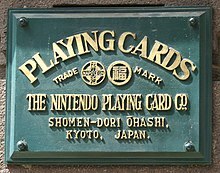 1889 Nintendo Koppai (Later Nintendo Company, Limited) was founded by Fusajiro Yamauchi to produce and market the playing card game Hanafuda. 1905 Norway and Sweden signed the “Karlstad treaty”, peacefully dissolving the Union between the two countries. 1908 University of Alberta was founded. 1909 The Phantom of the Opera (original title: Le Fantôme de l’Opéra), a novel by French writer Gaston Leroux, was first published as a serialization in Le Gaulois. 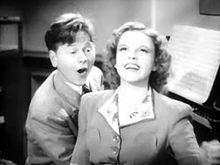 1920 Mickey Rooney, American actor, was born. 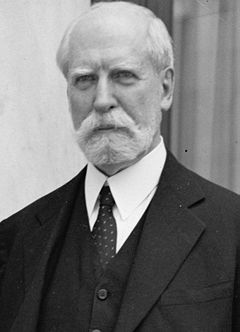 1922 In Washington D. C., Charles Evans Hughes signed the Hughes-Peynado agreement, that ended the occupation of Dominican Republic by the United States. 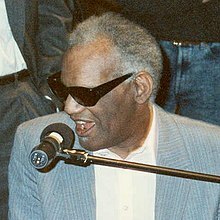 1930 Ray Charles, American musician, was born (d. 2004). 1932 The Kingdom of Hejaz and Nejd was renamed the Kingdom of Saudi Arabia. 1938 Mobilization of the Czechoslovak army in response to the Munich Crisis. 1939 Henry Blofeld, English cricket commentator, was born. 1941 World War II: The first gas chamber experiments were conducted at Auschwitz. 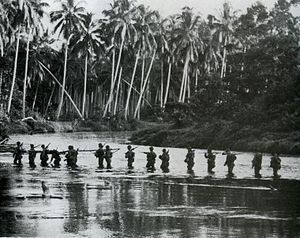 1942 World War II: First day of the September Matanikau action on Guadalcanal as United States Marine Corps forces attacked Imperial Japanese Army units along the Matanikau River. 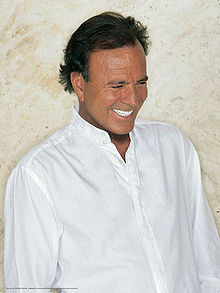 1943 Julio Iglesias, Spanish singer, was born. 1943 World War II: The so-called Salò Republic, the Italian puppet state of Germany was born. 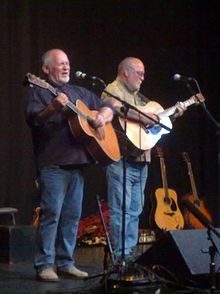 1944 Eric Bogle, British/Australian singer and songwriter, was born. 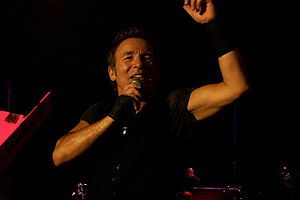 1949 Bruce Springsteen, American singer and songwriter, was born. 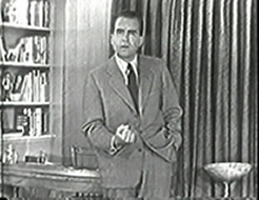 1952 Richard Nixon made his “Checkers speech“. 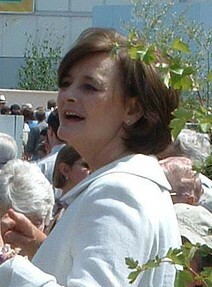 1954 Cherie Blair, lawyer and politician, wife of ex-British PM. 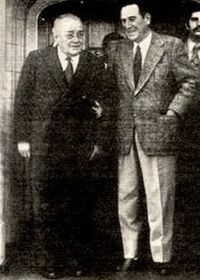 1959 Iowa farmer Roswell Garst hosted Soviet premier Nikita Khrushchev. 1959 The MS Princess of Tasmania, Australia’s first passenger roll-on/roll-off diesel ferry, made her maiden voyage across Bass Strait. 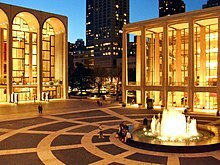 1962 The Lincoln Center for the Performing Arts in New York City opened with the completion of the first building, the Philharmonic Hall (now Avery Fisher Hall) home of the New York Philharmonic. 1973 Juan Perón returned to power in Argentina. 1983 Gerrie Coetzee of South Africa became the first African boxing world heavyweight champion. 1983 Gulf Air Flight 771 was bombed, killing all 117 people on board. 1992 A large Provisional Irish Republican Army bomb destroyed the forensic laboratories in Belfast. 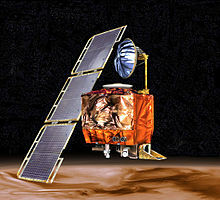 1999 NASA announced that it had lost contact with the Mars Climate Orbiter. 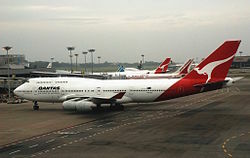 1999 Qantas Flight 1 overran the runway in Bangkok during a storm. 2002 The first public version of the web browser Mozilla Firefox (“Phoenix 0.1”) was released. 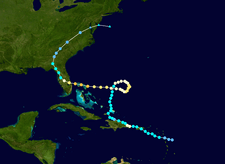 2004 Hurricane Jeanne: At least 1,070 in Haiti were reported killed by floods. 2008 Kauhajoki school shooting: Matti Saari killed 10 people before committing suicide. You are currently browsing the Homepaddock blog archives for the day Thursday, September 23rd, 2010.